So my friend Katrien and I regularly go on a daytrip. 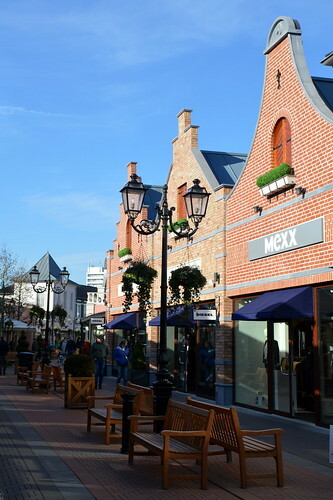 Usually we combine a cultural activity with some shopping, but this time it was mainly a shopping spree for the both of us as we went to Designer Outlet Roermond. 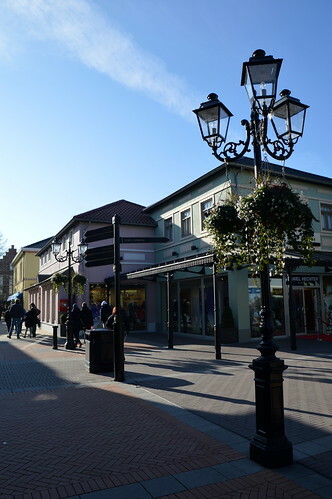 Where can you find Designer Outlet Roermond? 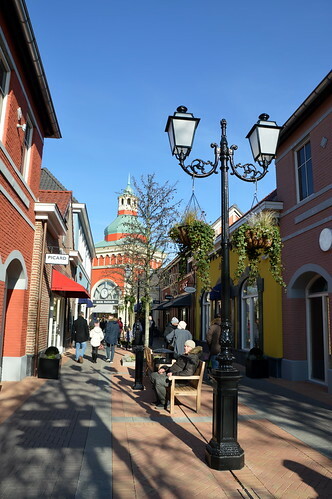 Designer Outlet Roermond can be found right next to the city center of Roermond. 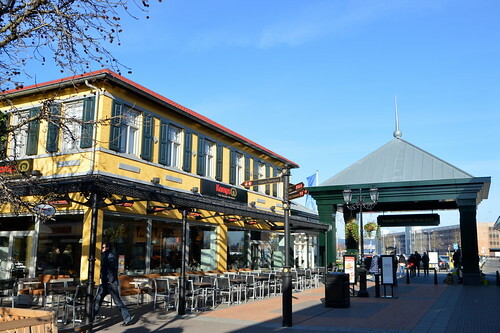 Roermond is situated in Holland, not far from Eindhoven and Maastricht. It’s very close to the Belgian and German border. 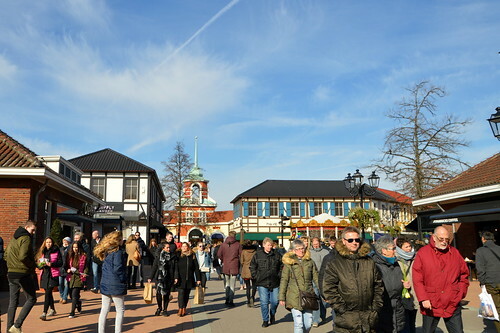 The city of Roermond is lovely to walk around in, so make sure that when you visit the Designer Outlet, you leave some time to walk around the city as well! Next to the Designer Outlet there’s a huge car park which costs only 3 EUR for the entire day! 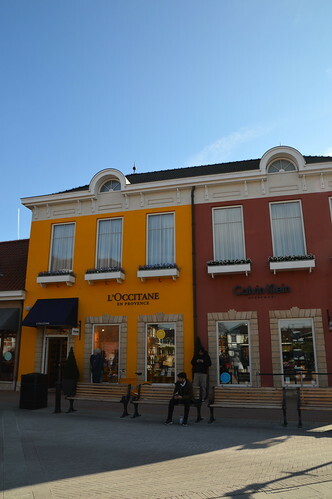 This outlet village offers a range of goodies: clothes, homeware, lingerie, swimwear, shoes, beauty, technology and accessories. There are also plenty of brasseries, restaurants and coffee bars. 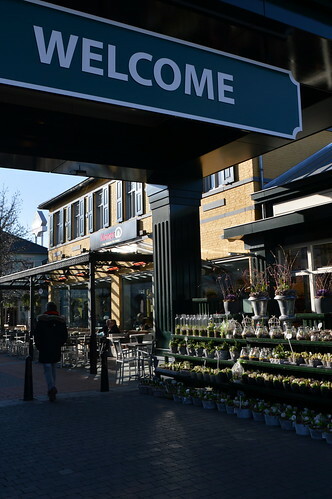 We only had some coffee in the Designer Outlet and had diner in the city center which in my opinion is cosier than in the outlet village. 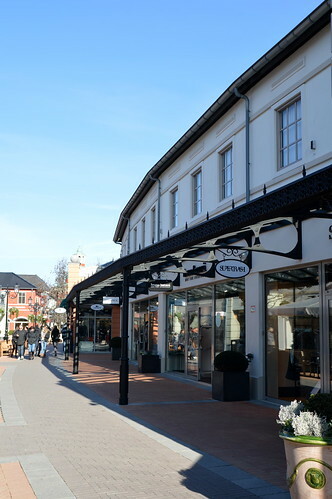 What brands can you find at Designer Outlet Roermond? Many different brands can be found on a small space. 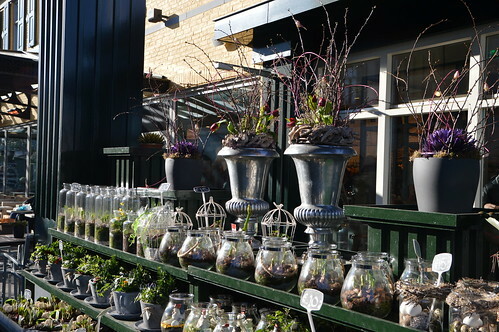 The town Roermond is only a 3 minute walk and is a cosy town to walk around in. Plenty of brasseries and coffeebars to choose from (but we went to the town itself to have lunch as that was less crowded and cosier). All stores are beautifully arranged. Avoid going in the weekend… it can get really busy then! If you’ve got no other option, then try to be there at opening time and visit the village first or safe your visit until after 5pm (it’s open until 8pm). As it is an outlet village, you sometimes have to be lucky to find your size. Do you like buying at an outlet village? 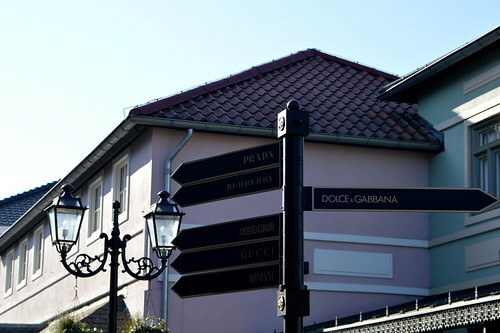 Do you have an outlet village closeby? Let me know in the comments below! 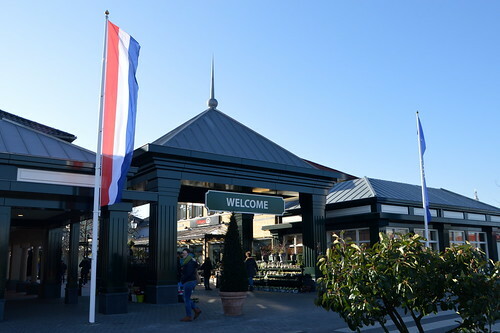 This entry was posted in Fashion, Fashion top tips, Holland, Travel and tagged designer outlet roermond, holland, roermond. I haven’t heard of that one! We used to go to Maasmechelen in Belgium and Roermond is similar but in my opinion a better offer. The city of Roermond being only five minutes away is a bonus! This looks great, I wish there was somewhere near me that was like this! All the designer outlets are quite far away! Ik ben er vorig jaar voor de eerste keer geweest en vond het geweldig! Ja hè!! In het najaar gaan we nog eens terug 🙂 Ik vind het fijn dat het stadje vlakbij ligt om daar dan iets te eten, dat is toch gezelliger dan in de village zelf vind ik.